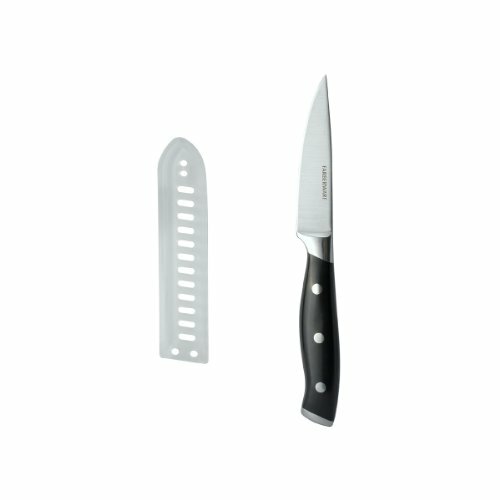 This Farberware Pro Paring Knife with Sheath is perfectly weighted and balanced for control while doing small tasks around the kitchen. The parer is great for cutting small fruits, breads, and vegetables. The sheath helps protect the blade while not in use and provides a safe storage. To clean, and wash with warm water and a mild detergent; rinse and dry immediately. Measures 3.5-inch.